The genius of Tavullia has equaled this year Jack Findlay, who, 32 years ago, climbed to the podium of the highest category with more than forty years. Suma and follow. Valentino Rossi celebrates his 24th season in the World Cup, but that does not stop him from devouring records. The Italian multi-champion, who is second overall three points behind Dovizioso, has started the season with two podiums in three races and that success has made him equal a record that was 32 years ago when Jack Findlay won the Austrian Grand Prix. 500cc on May 1, 1977. 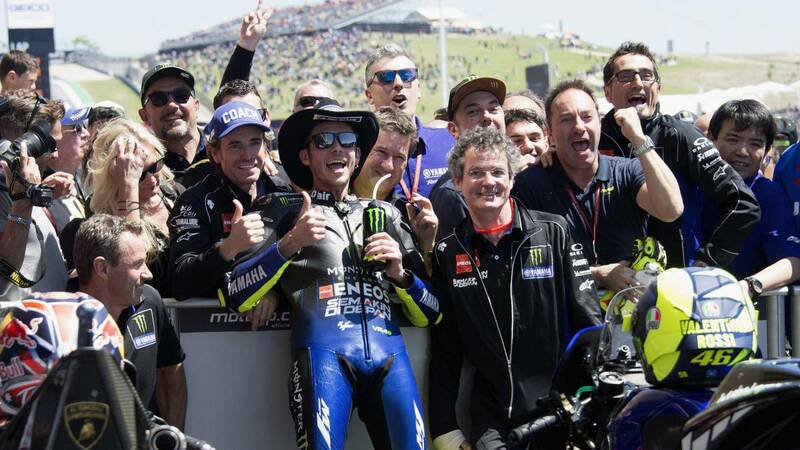 The Australian was 42 years and almost three months and now Rossi, who is now 40 years and 60 days, has been the next to rise to the podium past forty. A milestone that is not the only since, in addition, the Yamaha rider who has been second in Argentina and the United States, and that carries his entire career going up to the drawer at least once a year, has also relieved his compatriot Marcellino Lucchi who was, to date, the last rider to stand on the podium with more than 40 years accounting for all the world championship categories. Lucchi scored his meritorious record on August 23, 1998, when he was third in the 250cc GP race. to the Czech Republic, and had 41 years and almost five months.